As being one of the most contaminated seas in the world, the Black Sea is polluted by the six coastal states (Russian Federation, Ukraine, Romania, Bulgaria, Georgia, and Turkey) and the ten riparian states of major European rivers that flow into the Black Sea. The Black Sea basin is home to some 160 million people which make up approximately half of Europe’s population. The Danube River, main source of pollution for the Black Sea, pours domestic and industrial wastes into the waters of the Black Sea. Due to its unique geographical characteristics, the Black Sea has never been a convenient area for settlement. The only outflow of the Black Sea is through the Strait of Istanbul. 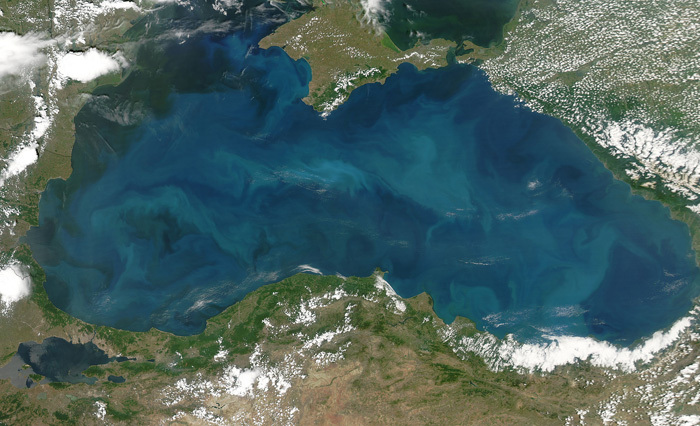 The natural ecological situation of the Black Sea deteriorated rapidly in the last 30 years. Over-fishing added to the environmental factors that lead to the breaking of the food chain in the Black Sea. The transboundary nature of the environmental problems of the Black Sea has deemed international cooperation in the field absolutely necessary. In this context, the Convention on the Protection of the Black Sea Against Pollution (Bucharest Convention), which was signed by Turkey, Romania, Ukraine, Bulgaria, Georgia and the Russian Federation in Bucharest on 21 April 1992, entered into force on 15 January 1994. Article XVII of the Convention envisages the establishment of the Commission on the Protection of the Black Sea Against Pollution (Black Sea Commission) and a Permanent Secretariat. Since December 2000, Turkey has been hosting the Secretariat of the Black Sea Commission in Istanbul. – The Black Sea Biodiversity and Landscape Conservation Protocol.